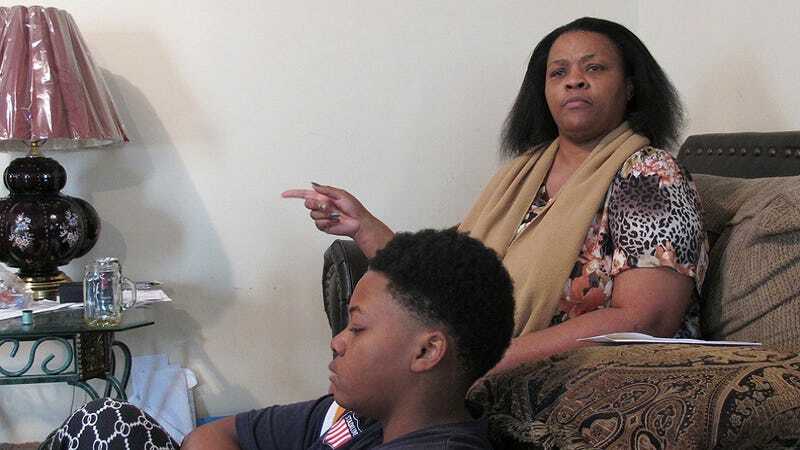 The fiancée of a man purportedly shot down by police officers in Memphis, Tennessee after a struggle over a firearm has spoken out against the record, stating he was shot in the back after relinquishing his weapon. A news conference held by the Tennessee Bureau of Investigations on March 24, the day after the incident occurred, originally confirmed the testimony of the police officers who were on the scene—that Allen was shot after he refused to let go of his rifle while pointing his weapon at an officer. Nesbit went forward with her version of the events on March 31. According to the victim’s former partner, police came to the house in response to a call made from the house by Allen, who reported seeing an unknown person in his backyard. While police responded to the call, they found no such person on the property. Officers came back to the house after an “unidentified woman”—whom Nesbit named as Allen’s mother—dialed 911, stating that Allen was suffering from hallucinations. “Nesbit says three officers entered the house and asked if there were any guns in the house. They told Allen to put his hands on the wall. He then put his hands on a door jamb. “Nesbit said there was a rifle in the house, and she went to retrieve it from a closet. She found the rifle and slid it down a hallway toward the officers, with the muzzle facing her, Nesbit said. Nesbit said she walked toward Allen and begged him to give her the gun, ‘because if you don’t they’re going to shoot you,’ she said. With his back to the officers as he faced Nesbit, Allen handed her the rifle as one officer fired two shots toward his back from just a few feet away, Nesbit said. She said the muzzle of the rifle was pointed at her when the officer fired. After the shots were fired, Allen then reportedly took one step towards the PDs before one officer shot him in the chest. “He stepped up and he shot him in the chest, pow,” she told AP. When Nesbit began to shout (“I said, ‘Why did you do that? You shot him from the back, you shot him from the back”), one of the officers on the scene then told her to “be quiet,” and then insisted that “[Allen] could have snatched the gun from [her] and hurt [her],” despite her protests to the contrary. Nesbit was then detained in a police vehicle for two to three hours before giving a statement to the authorities. While one black officer and one white officer have been confirmed as being involved in the incident, their names have not been released to the public; the victim was also confirmed as black.